Nurses play a pivotal role in ensuring quality and safety in aged care and their omission from the recently appointed Aged Care Quality Advisory Council is “a great oversight,” according to Sue Macri, expert on aged care standards. 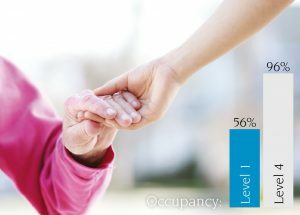 AUDIO:﻿ Attracting a skilled aged care workforce to meet the demands of an ageing population is the biggest challenge facing the sector and the issue has been poorly addressed by successive governments, Sue Macri, former associate commissioner at the Productivity Commission and aged care consultant, told the NEWSROOM. Collaborations across primary care, acute care and aged care will break down unhelpful health system silos and provide better care for older Australians if there is proper funding, including Medicare provider numbers, says respected aged care leader. AGMs in aged care are taking on a whole new image as innovative providers add thought leadership and lively debate to the standard fare of financial statements, wine and cheese.